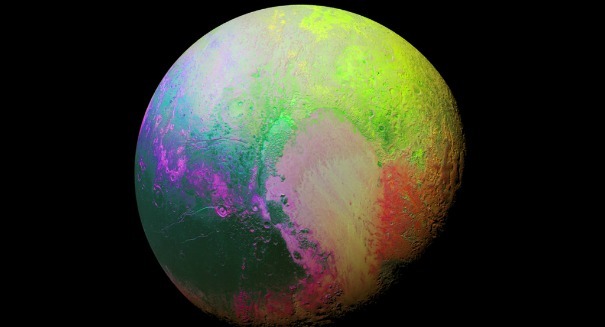 New studies are revealing some amazing details about Pluto. Scientists have published five new studies in the journal Science that reveal some amazing new details about Pluto via the New Horizons spacecraft. Researchers have discovered that rather than act like basically a giant asteroid, Pluto has a surface that is quite varied and complex, similar to that of a planets, even though it was declassified as one due to its small size, according to a NASA statement. In fact, Pluto has a wide range of landscapes that have been actively evolving throughout its history, and erosion and cryovolcanoes have been occurring on its surface relatively recently. The studies also indicate that Pluto and its largest moon Charon have a rugged north side and a south end that is much smoother. “Observing Pluto and Charon up close has caused us to completely reassess thinking on what sort of geological activity can be sustained on isolated planetary bodies in this distant region of the solar system, worlds that formerly had been thought to be relics little changed since the Kuiper Belt’s formation,” Jeff Moore, lead author of the geology paper from NASA’s Ames Research Center, Moffett Field, California, said in the statement. New Horizons blasted past Pluto at 31,000 miles per hour last July, and has been sending data back at a trickle ever since. The spacecraft was launched in 2006 with the aim of helping scientists better understand the conditions at the edge of the solar system, including Pluto and the Kuiper Belt. Examining these areas can help scientists better understand how the solar system, and even the universe, was formed.